Whether you’re on the lookout for some affordable kids’ school shoes, some stylish ladies’ shoes or ankle boots, some smart men’s shoes for work, or some cool and casual men’s boots, we’ve plenty of on-trend styles to choose from. We’ve even got an extensive range of steel toecap safety shoes! Not to mention, there are plenty of options for the kids too. 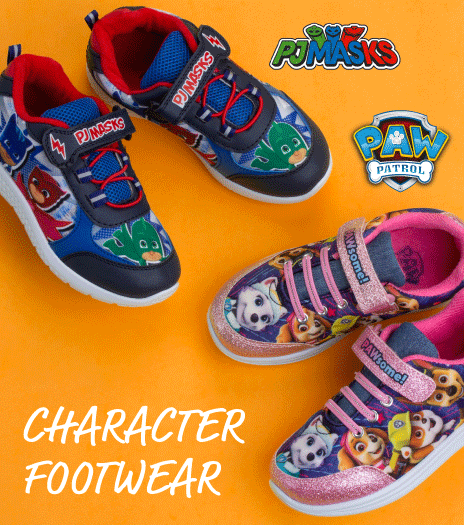 With top quality boys' shoes and girls' shoes available, you really can kit everyone out with affordable footwear all year round. You’ll also see some of your favourite footwear brands, such as Crocs, Lotus shoes, Skechers trainers, and Earth Spirit sandals, plus many more. Like what you see? We’ve got various ways to shop so you can choose the one that’s most convenient for you. With over 500 stores throughout the UK, it’s easy to pop into your nearest one for a look round. We also offer a click and collect service which allows you to order online and pick up from any Shoe Zone store. And of course, you can order online and have your shoes delivered straight to your door. We offer free UK delivery on all orders, so it’s not just easy to shop at Shoe Zone, it’s super-affordable too! 3780 of our products have been rated on average 4.5 out of 5 based on 9115 customer reviews.